Istanbul is a seriously impressive city. I don’t know if, considering the troubles the country is having right now, it’s getting its usual flow of tourists – I suspect it is not. But for me it was my first taste of Turkey before heading south. 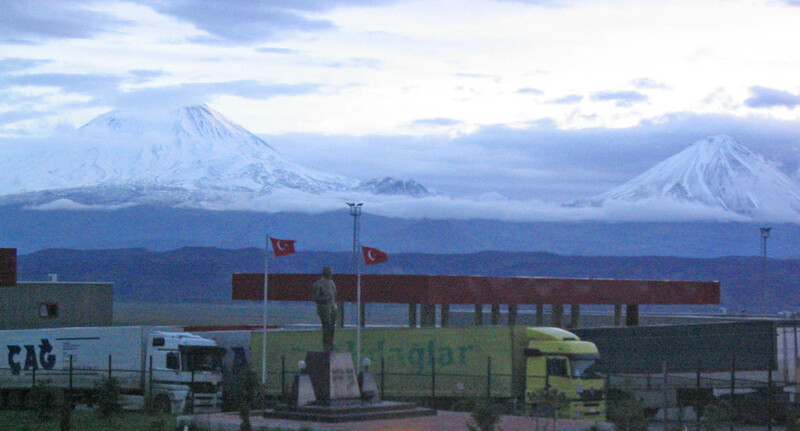 At the Turkish border with Iran. Which is a little odd in a way considering I was coming from Iran, a day and a half’s travel away by bus. But that’s the way I entered the country and it was my first port of call. For others, it is the main airport (although Ankara is the capital) and if you are travelling eastwards, it’s the first city you hit after Europe. Although Istanbul is the city that straddles two continents, some of it is technically in Europe, to the east of the Bosphorus River, you’re in Asia. For me it was an exciting few days. It’s well set up for the visitor, lots of signs in English, lots of people speak other languages there too. Food can be found cheaply if you need, and if you like kebab. Although, word to the wise, you need a strong stomach at times!! It’s also surprisingly pleasant to walk around. 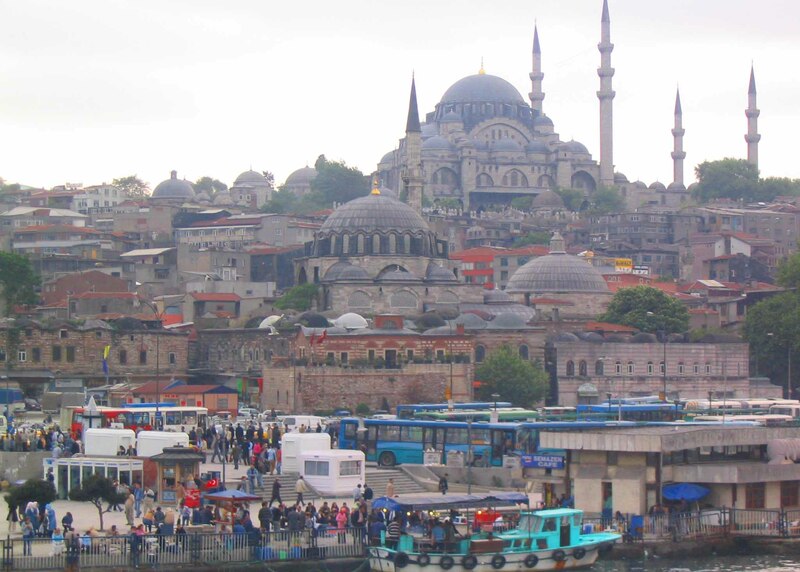 The main tourist area contains the Hagia Sophia, an orthodox church that became a catholic church that went back to an orthodox church and then a mosque that became a museum. 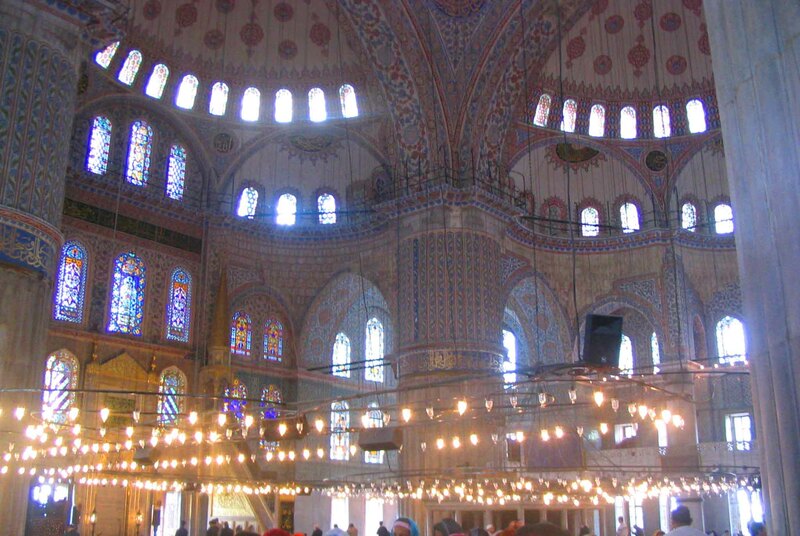 It’s huge and stunning inside and out, possibly Istanbul’s premier tourist attraction. Dating back to the 6th century it may not be as well known as Notre Dame or Saint Peter’s, but it should be. 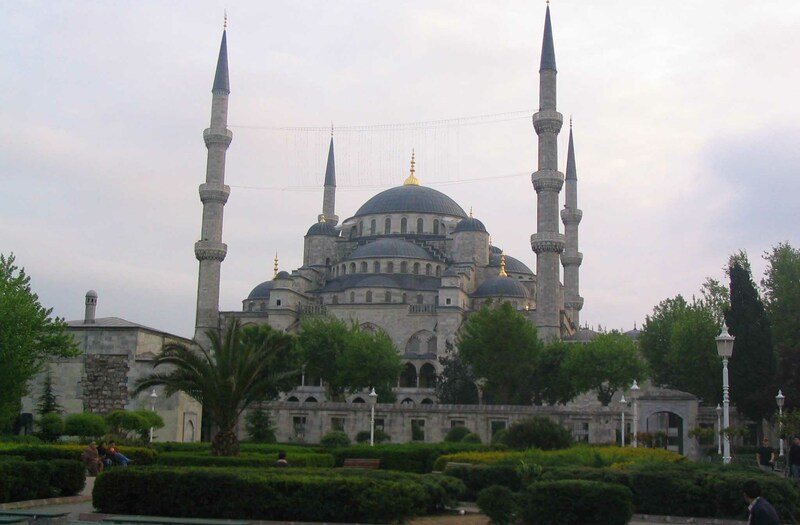 This impressive structure stands opposite another, the Blue Mosque. Which is still functioning, massive, beautiful and peaceful. 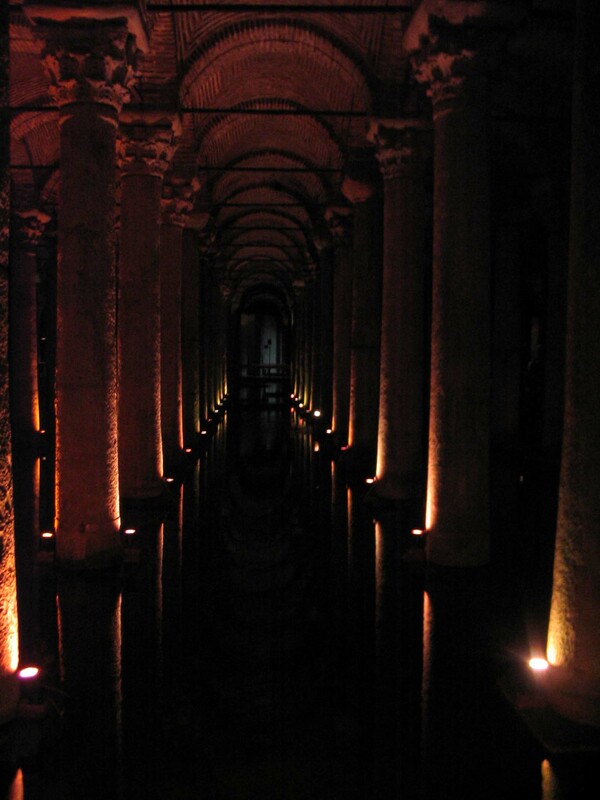 Then there is the less known Cistern – or Basilica Cistern. 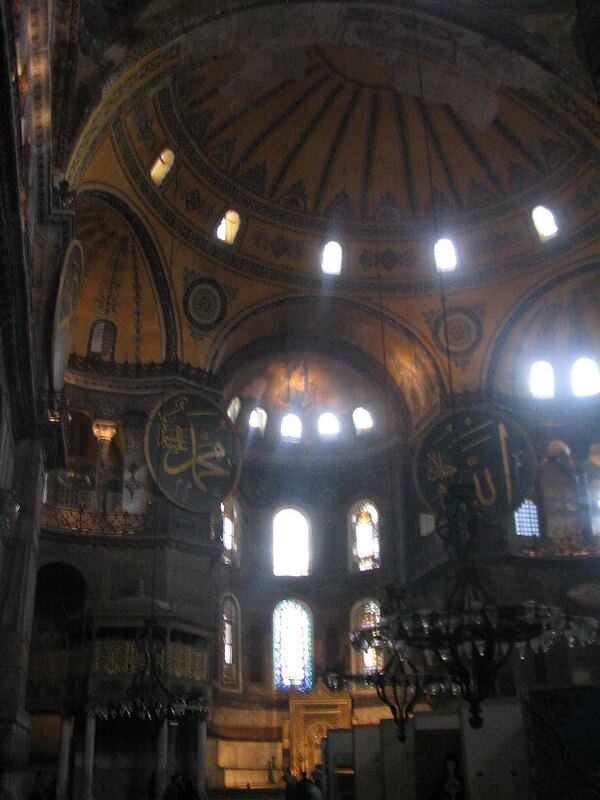 Underneath Istanbul, the water works are amazing and cathedral-like, and the entrance is not far from the Hagia Sophia. They are lit for mood and music is pumped around them. It’s really quite magical. Take in the Bospherus and the bridges across it. 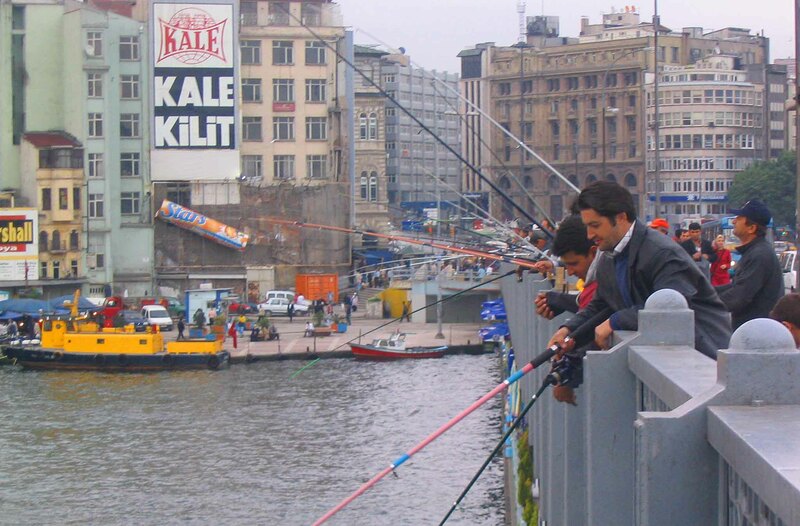 People love to fish from there. 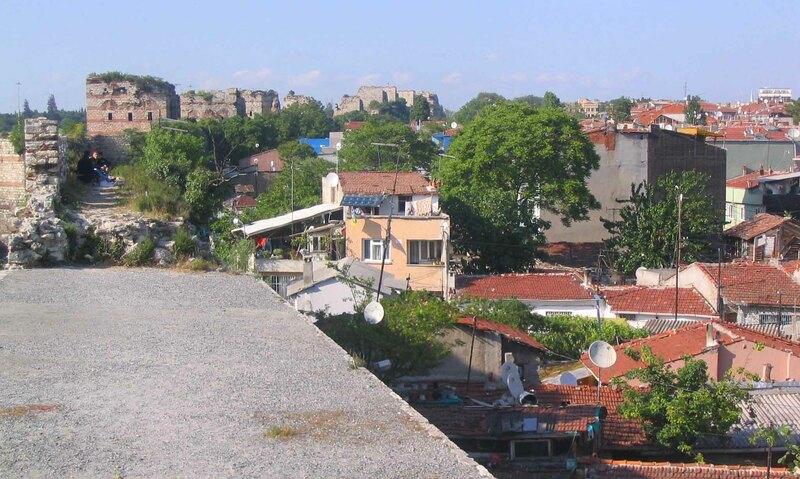 Walk the streets, take in Taksim Square, head out to the suburbs and explore the old city walls out there too. Did I mention I met models in Istanbul? From Brazil? I met a model in a camera shop. I was getting photos transferred to a disc I think when I met them. One asked if I had a digital camera – I did. She needed to send photos straight away by email somewhere. And so she used my camera. True story. As a first taste, especially coming from Europe by land, there is no more perfect a place to begin a journey around Turkey. It’s not a city like say Cairo, but it has the Islamic influence in quite a bit of architecture that merges with European for something quite special. The people were very friendly. There are many more attractions than those I have mentioned. Transport is buses and trams, which proved pretty good actually. Trams are always good value, except when you arrive at 7am in the city and people are going to work and you have your bags and so there is very little room. But still! It’s cheaper than most European cities, but there is a range of food. Some of it excellent. It’s a buzzing city. It’s an adventure. 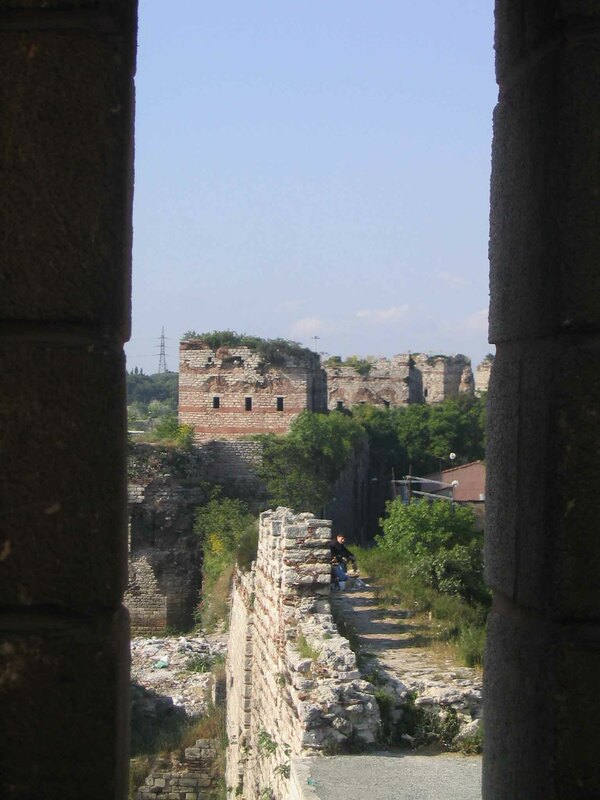 The only caveat – I’m not sure with the current politics of Turkey if it hasn’t lost something as it’s been years since I visited. But if it’s still retaining the charm and buzz I felt when I was there, it’s a city that should be high on any traveller’s wish list! Thanks for reading, and May the Journey Never End! Previous SCOOT Scourge – Once Bitten, How Many Times Shy OR Will I Never learn the Lesson of Budget Airlines? Next Visas and Train Tickets for India – an E-Surprise! Istanbul is on my wishlist for sure. I am keen on exploring its food scene – I’m sure there is lots of delicious foods to taste out there. Turkish food is awesome! Thanks for commenting! 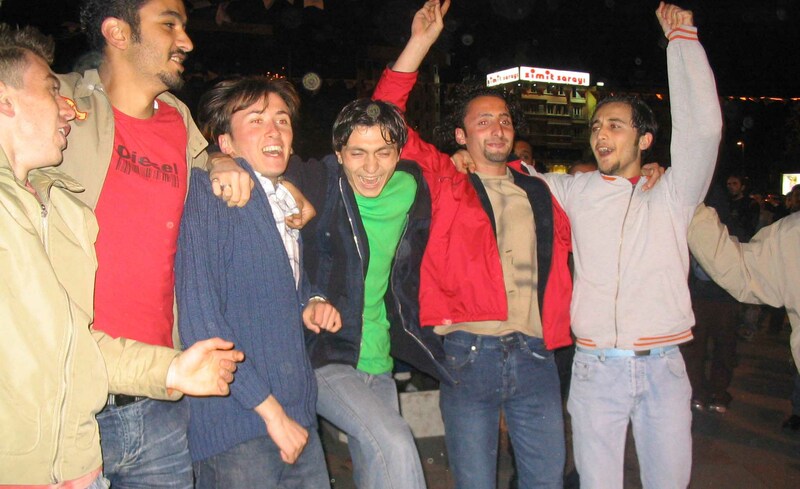 I wasn’t sure if I should visit Istanbul one day or not, your post definitely makes me lean toward a visit. Great! Hope you have a wonderful time! I’m heading to Istanbul for the fourth time (this time for work) in a few weeks!! Can’t wait – love it there! A place I still want to visit one day…when hopefully things stabilize. Hey, so where’s a photo of the Brazilian model?